Last sunday, me and my boyfriend went to the Amsterdam Forest for a stroll. It was quite a lovely day, but we felt like it was not warm enough to lay in the park, so we decided to just go for a walk. I didn’t plan on taking outfit pictures at all, but I took my camera with me anyway. And then we bumped into this cute spot, and I felt like I just had to do an outfit shoot there! So, a casual sunday outfit it is! I really like this tweed crop top, and I sort of reinvented it recently. It sort of got lost in between my pile of dark colored tops, but when it caught my eye, I immediately pulled it out and started wearing it again! So, what do you think of this outfit? Wauw, super mooi! Hele leuke look. Wat een mooie outfit! Erg gave zonnebril ook :). I love the photographs, such a beautiful lighting! 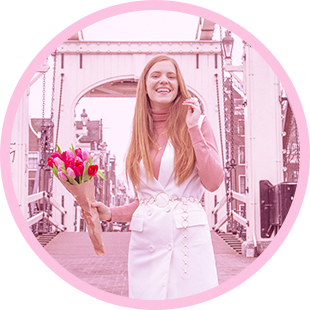 Ook deze outfit is weer prachtig :D Hele mooie foto’s, je vriend heeft ze heel er mooi gemaakt!